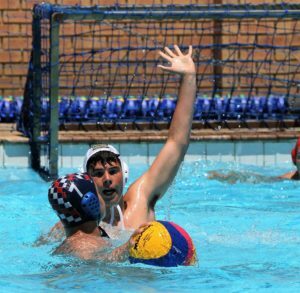 Jeppe played a full summer fixture – cricket, basketball and water polo – against our neighbours St Benedict’s, at St Benedict’s, last Saturday and came out on top in all three disciplines. Their first cricket team were very convincing, winning by 193 runs with lots of overs to spare. Breidyn Schaper made 106 and Lina Ndlovu 94 in posting 303/6 in 50 overs. In reply, Bennies lost wickets regularly and they were eventually bundled out for just 110. Christopher Bosman was the only St Benedict’s batsman to make any impact. He got 24. Most of the damage was done by Jeppe’s quick bowler, Jared Laughton, who took 4/19. 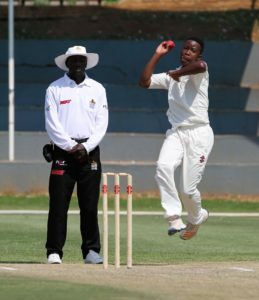 SA under-19 left arm spinner, Kgaudi Molefe made a welcome return from injury. He took 2/24 in 10 overs. Jeppe won all the cricket games on the day. The under-15As won by 372 runs and the under-14As by 130 runs. 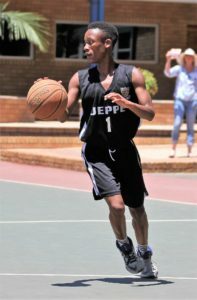 The first team basketball game was a thriller, eventually won by Jeppe 69-66, in extra time. Jeppe led handily throughout the game but St Benedict’s staged a rousing final quarter comeback to tie the scores 60-all at the end of normal time. The lead changed hands several times in the overtime period before Jeppe clinched it, with seconds left on the clock. 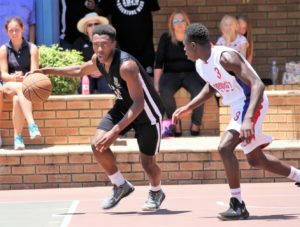 Koketso Kekana scored a three pointer to put Jeppe ahead after they trailed by two with seconds left, and he then slotted two free throws to make it safe. There were 12 baskeball games in all. 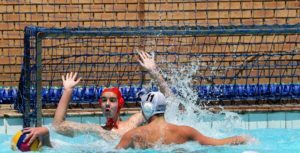 Jeppe won nine and Bennies three. The hosts did best in the water polo matches. 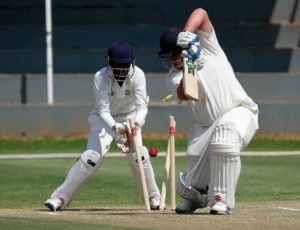 They won four of the eight games, Jeppe won three and one was drawn. Jeppe’s first team were in front for the whole of the game, but Bennies finished strongly in the final quarter. Jeppe led 7-2 at the end of the third and they were outscored 2-1 I the fourth to win 8-4 in the end. St Benedict’s won the under-14A game 4-2 and Jeppe won the under-16s 6-3. The second team game was drawn 2-2.